Attractive, fit and already geared up for the holidays: the new chronograph of the Ice-Watch brand is ready to go! 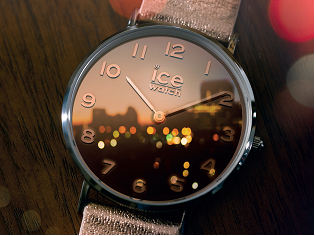 Even the name, which the ICE dune owes to its highly original dial, arouses our desire for sand and sea. 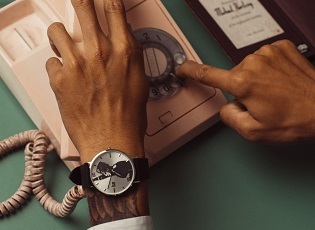 An intensely white ‘bridge’ connects three sub-dials: the minutes counter on the left, the seconds chronograph in the centre and a 24H display on the right. It is distinct, dynamic and great for measuring the best moments and sporting achievements of men and teenagers on holiday. 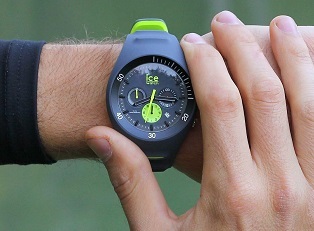 To make colour vibrate – that is the DNA of Ice-Watch watches! - nothing better than contrast. And so the collection of these super chronographs enjoys a refreshing white touch on the dial. The most sedate (blue, black and white) as well as the flashiest (red and orange). Some of them also have a white strap, while the others prefer a 100% coordinated look. But always in the most summery material: silicone. The straps, with a sporty texture and tone-on-tone seams, can prance, surf, dive, play tennis or lounge on the beach. They will remain immaculate and comfortable despite the water, the heat and the sand. One last thing before setting off by air, boat or road: choose the size of ‘your’ ICE dune. 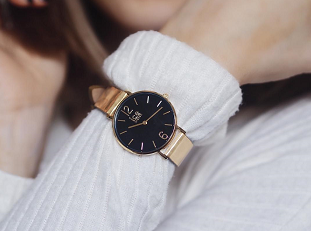 All models are available in size L (48 mm). The full white, full black or white with blue dial models are also available in XL (52 mm).